If you've been on Woodland Avenue within the past few months you might have noticed a new building going up just down the block from the Bluestone Commons development. You've probably been thinking to yourself "now that's a nice looking building, but what exactly is it?" That's Twin Ports Dermatology, the child (not literal child as they already have one) of Heather and Anthony Smith. A wife and husband dermatological power couple. There's always been a demand for dermatological services within the Twin Ports. To be honest, there's been too much of a demand and in the past it often has caused patients to end up having to wait six to nine months just to see a doctor. That can be a major issue if you have something that needs treatment immediately. It's also what captured the attention of Heather and Anthony alerting them both that something had to be done about it and soon. “We’re trying to bring a lot of new things to Duluth, a lot of things we see in Minneapolis that I had experience with were not offered up here" said Heather when we met with her and Anthony last week at their newly opened clinic. There's a clear demand for a dermatology clinic like Twin Ports Dermatology here in Duluth due to the fact that right now the only places to receive dermatological treatments are at the hospitals. Heather's husband Anthony is also originally from Duluth allowing him to not only be knowledgeable on the area but also the great people that live here. Anthony couldn't be more excited to be back in his hometown and for the ability to give back to the community. Pretty much from the start it was a natural fit for the two to call Duluth their new home not only for themselves, but also for their new business. Designed by Brian Morse at TKDA Architects, the building features a modern design that isn't "too out there" according to the couple. "It'll age well and that's what we wanted" Anthony told us. The moment you drive up to the building you can tell that it's not like anything else around. The slightly pitched roof gives a nod to the surrounding structures allowing it to blend in with it's surroundings. The dark earth tones of the exterior allow the building to compliment the natural surroundings while the physical modern design itself is what allows it to stand out and be noticed. When you step through the front doors you instantly think you traveled a thousand miles and walked into a five diamond clinic on Fifth Avenue in New York City. It's an absolutely stunning space and when we say that we truly mean that because let's be honest, we see a LOT of buildings and retail spaces. Once you've entered the space you there's no doubt in mind that won't be taken care of right. 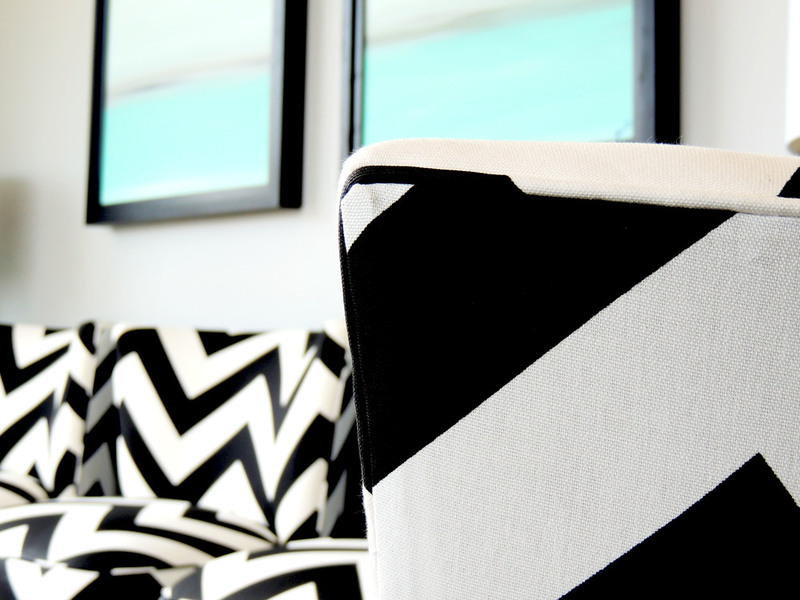 Between the welcoming staff at the front desk, the numerous beautiful pieces of art work on the walls, or the brightly day lit spaces, it's a place that you'd probably rather call home than just a place for a quick appointment. To be honest, we forget we were even in a clinic. Alert Dwell Magazine, we've got a clinic for you to feature! There's a lot of blue going on in the spaces so naturally we asked about the blue theme and if there was any reasoning behind that. It's something that Heather had wanted from the start as it is a calming color, something that this place is all about. Once you get past all the beautiful art work you soon realize that basically every corner of this place has something beautiful hidden. One of our favorite things were the light fixtures featured throughout the spaces. There's a very trendy and whimsical chandelier in the front lobby along with beautiful pendant lighting over the front desk and in the waiting area. It's design done well and design done right. Heather and Anthony were very happy with the way the space turned out and said they owe it to their great interior designer Sherry Simmons of Veshe' Inc. If you haven't checked out any of her work do yourself a favor and check out the company's Facebook page here. It's all stunning and Twin Ports Dermatology is no exception. We asked Heather and Anthony if the plan was always to be modern and if so, what swayed them that way. Heather answered saying "We thought ok, if we are going to do this we want it to be different, we don’t want that sterile clinic feel, we want it to be trendy, modern and fun". Mission accomplished Heather and Anthony (and Sherry). Mission. Accomplished. As you walk through the front door the front desk along with a bit of retail space greets you. To the left is one of two waiting areas, the first floor one is for the dermatology clinic patients while the second floor waiting room is intended for those who are going to the med spa. The splitting of the two waiting areas was intentional. “We kind of wanted to separate them a little bit so that those spa patients coming felt like they were separate from the dermatology patients" she told us. By splitting the two waiting rooms it makes things a little more personal and service oriented for the patient... and it basically creates a two-shop feel in one building! The first floor contains six patient rooms along with the back of house staff space and the clinic's offices. Up a stairway lined with white sculptured flowers and past a graphic of a large face you enter the med spa waiting area. The second floor includes three patient rooms, one of which is for laser treatments. The rest of the space is devoted to office space including room for future growth if the need arises (which it will we have no doubt). Throughout the building you'll notice a number of art pieces. Almost all the paintings were custom painted for Twin Ports Dermatology by Alexis Simmons, the daughter of the interior designer Sherry Simmons (design must run in the family). The paintings feature the color palette of the overall structure and blend seamlessly and perfectly into the space creating truly beautiful and iconic pieces. The lasers located in the med spa are a bigger deal than you probably think. When explaining the laser treatments Heather mentioned that the ones at Twin Ports Dermatology are unique because they "are new to the Northland and are the gold standard in the industry." Laser services offered include laser hair removal, skin rejuvenation advanced along with skin resurfacing. "We also have something called micro-needling, or a micro pen, which creates all these tiny injuries in the skin to produce more collagen which is good for anti-aging, acne scaring, stretch marks, and there’s little to no down time" Heather told us when explaining services offered in the med spa. In addition to skin treatments and services Twin Ports Dermatology offers retail products including their own line of medical grade Twin Ports Dermatology skin care. “We also have a private label that is only offered here and no one else in town does it" Heather explained. “Everything we sell here can only be dispensed from a physician office so you can’t buy it anywhere else and therefore it’s a lot more effective” said Heather. There's something that we do want to talk to you about while we have your attention and it's the way people perceive cosmetic services. There's a lot of misunderstanding around some of the treatments offered at Twin Ports Dermatology and there's really no reason for it. “A lot people hear these things we are offering like Botox and filler and they immediately think of the stars “Oh that makes you look fake, unnatural” explained Heather. "It’s not true though, those people are people who do WAY too much". Everything is good in moderation; we actually think it's the key to life. “Everything we offer can be done so tastefully and basically just enhance your natural self" Heather told us. She went on to explain that the goal is not to make you look different, but rather just refreshed. "We want to help you age gracefully as we are all aging and we want to slow down that process a little bit”. “We can do things to make you look better, but not unlike yourself” said Heather. While the med spa officially opened their doors on May 1st, the dermatology clinic will open next month. When the dermatology clinic, the more medical and surgical area of the business, opens June 1st it will mark the beginning of the true issue that Heather and Anthony came up here to alleviate. "We really want to help change the current situation of dermatology care up here where you have to wait nine to twelve months" Heather said. "It’s not fair. People have skin cancer sitting on them and nothing can be done because of the wait”. The mission of Twin Ports Dermatology is to make a difference in the community one patient at a time by providing the highest quality treatments through the practice of innovative, evidence-based, comprehensive care. So we know you're all wondering about how much it costs, so let's talk about it. Most of the visits and services offered in the Dermatology clinic are covered by insurance. At this time they are accepting Blue Cross Blue Shield medical insurance and hope to accept all major health insurance within the next couple of months. Just in case your insurance is not yet accepted Twin Ports Dermatology still has options. "What we will do is offer cash pay appointments if we do not have your insurance on board yet" Heather stated. She further explained that people will be able to submit their visit costs to HSA or Flex for reimbursement if their insurance is not yet recognized. “Eventually once all insurance plans have accepted then we will see everybody with insurance, but we just want to open the doors a little bit sooner to see people." she told us. If you're paying out of pocket appointments won't be too expensive. It'll be between $150 and $275 for a new patient office visit; however, they also offer a 15% discount for cash paying patients. The space is beautiful, the services offered a plentiful, and the staff is ever so talented. At Twin Ports Dermatology there will be two part time Dermatologists, Heather herself who is a Dermatology PA-C, a Nurse Practitioner, A RN injection specialist, two Estheticians, and a Certified Laser Technician. “Right now in Duluth there are only seven dermatology providers and we are adding four more” Heather explained to us. It just goes to show how much of an impact this clinic really will make in the area and lives of the people here in the Twin Ports. There's also a Certified Laser Technician who Heather told us is quite a big deal as she is the only Certified Laser Technician in Duluth. “We’re very excited to bring such talented staff to the team” said Heather with a gleaming smile. We'll also attest to the fact that these people are not only talented in what they do, but they are probably some of the nicest people we have met in our time... well.. dealing with people. They honestly do have an absolutely wonderful team put together. So what else could we possibly say? Well, first off you probably should call now to set up an appointment. "We already have a wait list" Heather explained to us last Friday when we were there. And let's be honest people, we all know that a week can make a big difference! Second. We are excited to announce that CDINDULUTH and Twin Ports Dermatology have partnered together to offer a number of our readers a coupon for 20% off any one service. You can access the coupon below. It's both our treat to you. 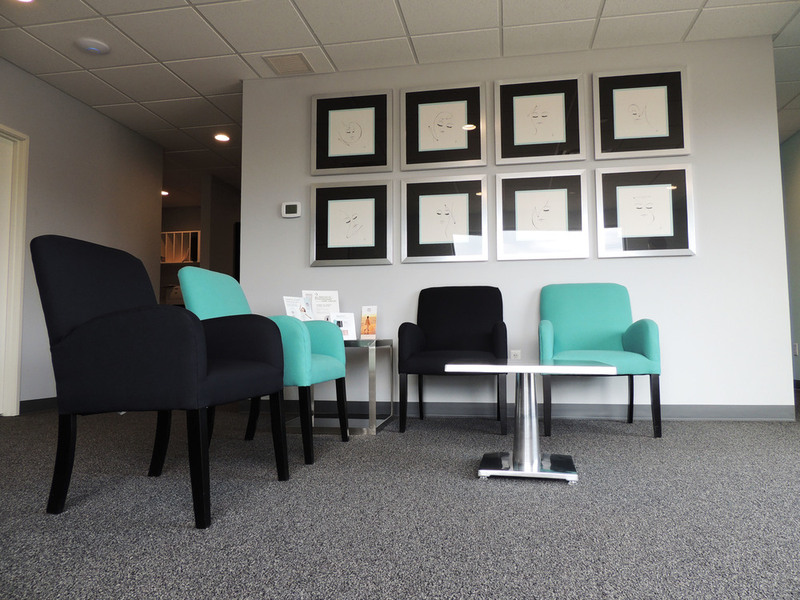 Relax a bit and enjoy the beautiful space, the wonderful people, and the amazing services that Twin Ports Dermatology has to offer.